How to Transfer Files from Your Phone to Your Computer | The Techie Teacher® . Last week I had three different people reach out to ask how they could easily transfer files/photos from their phone to the desktop on their computer. This is a question I get often, especially from friends and family members😁Therefore, I created this video tutorial below that walks you through the steps using Google Drive. This process can used on any devices, not just phones! 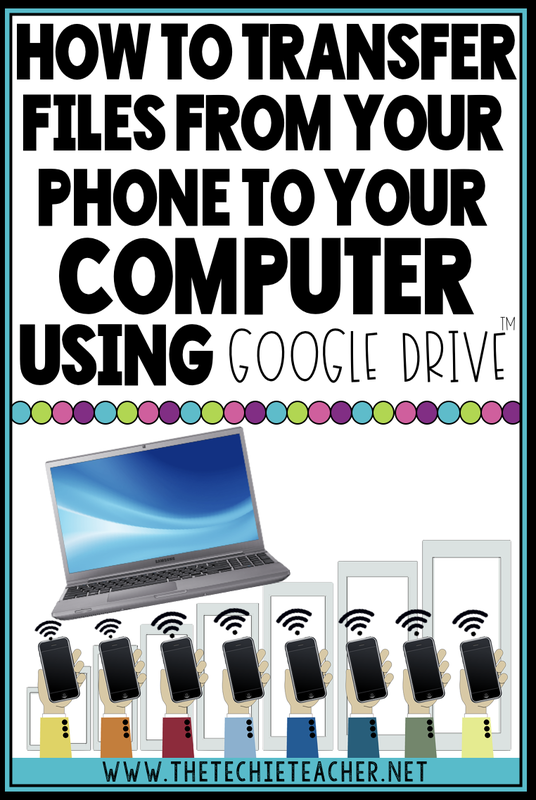 All you need is a google account (you can create a free account HERE) and the Google Drive app if you are transferring files from a phone, iPad, iPod, or tablet. Click for the iOS app and Android app. If you use gmail for your email platform then you already have a Google account. You get 15GB of free space with your Google Drive account. If you have a Google for Education account through your school district, then you have an unlimited amount of space. If you are interested in the animated emojis I showed in this video, check out my Turn Yourself into an Animated Emoji post. There are a lot of different ways you can transfer files, this is just one of them!